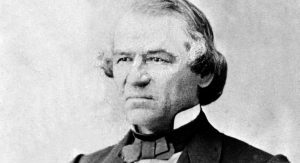 How have historians interpreted the impact of the failed impeachment attempt of Andrew Johnson? 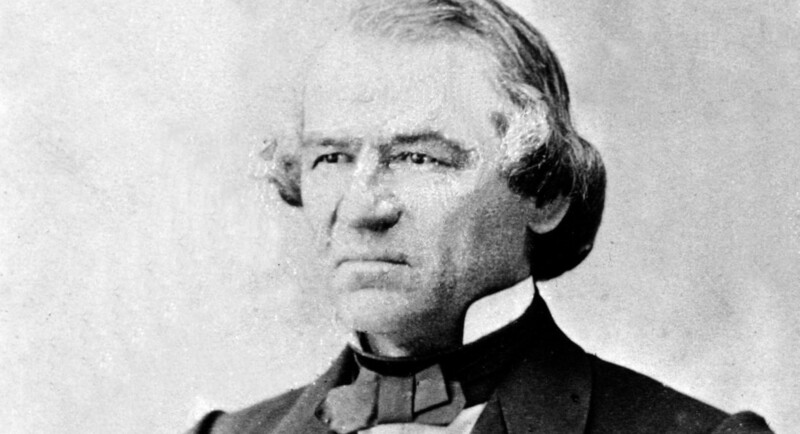 Andrew Johnson, the 17th president of the United States, became the first to be impeached when the House of Representatives on February 24, 1868, overwhelmingly passed an impeachment resolution and in the next few days approved 11 articles of impeachment for the Senate to consider. Following an 11-week trial, the Senate vote for conviction fell one short of the two thirds required by the Constitution to remove a president from office. That failure, some historians believe, may have had an adverse impact on the fate of Congressional Reconstruction and influenced the orientation of the Republican Party. Johnson, a member of the Democratic Party, and the Republicans who controlled Congress differed greatly concerning Reconstruction. Johnson wanted the South to remain, in the words of his biographer, historian Hans L. Trefousse, a “white man’s country,” while Republicans believed that blacks deserved civil rights. Through its Reconstruction legislation, Congress had empowered the army to carry out its policies in the South, but Johnson, as the army’s commander-in-chief, had obstinately blocked their execution. Factions within the Republican Party itself differed concerning Reconstruction policies. Radical Republicans, many of whom had been leaders of the abolition movement, envisioned Reconstruction as inaugurating fundamental change. Their ideology, as Eric Foner has written, “was the utopian vision of a nation whose citizens enjoyed equality of civil and political rights, secured by a powerful and beneficent national state.” Radicals believed that blacks should have the same opportunities for employment as whites and some supported land confiscation of the South’s ruling class in order to grant homesteads to former slaves. Mainstream Republicans opposed confiscation and feared policies that might lead to inflation and inhibit economic growth. They generally favored fiscal responsibility and the establishment of a coalition between “enlightened planters, urban business interests, and black voters, with white propertied elements firmly in control,” Foner asserts. The specific impeachment charges drawn up by moderates in the House dealt for the most part with Johnson’s removal from office of Secretary of War Edwin M. Stanton, an act allegedly in violation of the Tenure of Office Act that Congress had passed to keep Johnson from dismissing underlings without Senate approval. Whether the law applied to Stanton, an ally of the Congressional Reconstruction effort, was debatable, however. Seven moderate Republican senators voted for acquittal after deals were made with Johnson to ensure that he would not interfere with Congressional Reconstruction and would appoint a new secretary of war agreeable to the moderates. In the short term, Congressional Reconstruction did not seem to be affected adversely by Johnson’s acquittal. Most of the new state governments in the South were controlled by Republicans, the Fifteenth Amendment was passed and ratified, and blacks were elected to federal, state, and local offices. Trefousse contends, however, that the acquittal offered “a tremendous moral boost for the conservatives” and “demoralized the radicals.” Moderates subsequently gained power within the Republican party, and during the 1868 convention nominated Ulysses S. Grant over Benjamin F. Wade, the congressman who had been in line to become president had Johnson been impeached and an ally of the radicals. Benedict, Michael Les. The Impeachment and Trial of Andrew Johnson. New York: W. W. Norton, 1973. Foner, Eric. Reconstruction: America’’s Unfinished Revolution, 1863-1877. New York: Harper & Row, 1988. Gordon-Reed, Annette. Andrew Johnson. New York: Henry Holt, Times Books, 2011. Trefousse, Hans L. Impeachment of a President: Andrew Johnson, the Blacks, and Reconstruction. Knoxville: University of Tennessee Press, 1975; New York: Fordham University Press, 1999.